We are selling Branded Kid's Wear such as Oshkosh, Gap, Guess, Polo Ralph Lauren, Levi's, Timberland and much more with low prices. Interested? Email us and grab the items now!! 15% POTONGAN HARGA TERHADAP SEMUA ITEM!! GRAB IT NOW...!! ThAnK YoU & PLeAsE CoME AgAiN!! 1. 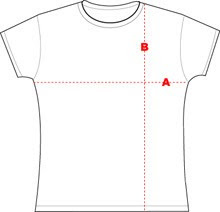 Choose the design and size. 2. Fill in the order form or email to princess_sumie@yahoo.com or sms/call me at 012-5370677(dla) for stock confirmation. 4. Receive account number & make payment. 5. Inform payment details, date, name, address and contact number. 6. Receive courier track number from us. 7. And wait for your goods arrive to your doorstep! 2. After make confirmation booking, cancellation is not allowed. 3. Items are non exchangeable nor refundable after being sold. 4. All item are subject for postage charge. 5. We will not responsible for any loss or damages incurred during shipment.